The 2 bedroom, 1 full bath carriage house is perfect for guest quarters or a rental unit. Exceptional estate in historic Lockerbie. MLS#21554211. Encore Sotheby's International. 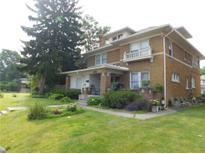 West Haven - Located near Speedway, downtown, university, and shopping. 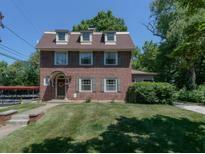 MLS#21557633. Owens Realty. revitalization is rapidly occurring in neighborhood. MLS#21556863. E & L Son Enterprise, LLC. Washington Park - Tons of improvement to the neighborhood. MLS#21556959. Berkshire Hathaway Home. The List Continues With An Expansive Finished Basement/Bar, A Main Floor Master And Laundry -- All Premium Finds In An Area Of Historic Homes. MLS#21548182. Concierge Realty, LLC. This solid home with limitless potential is a rare find this close to downtown for just $174,900. MLS#21556047. E & L Son Enterprise, LLC. Scenic community walking path & private lake w/dock & gazebo. MLS#21552129. HMS Real Estate, LLC. Unique opportunity for some who want to think outside the box because this is not your standard residential home. MLS#21550079. RE/MAX Legends Group. 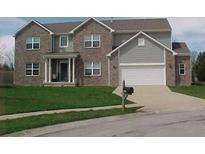 Drexel Gardens - The Large Fenced Back Yard is Great for Kids or Pets. 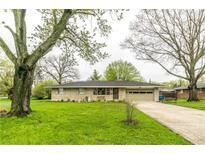 MLS#21551967. RE/MAX Centerstone. Property has great potential in this very desirable area. MLS#21551496. The Vearus Group. Build your dream home without restrictions- Sanitary Sewer at the lot MLS#21551206. OK Baird, LLC. 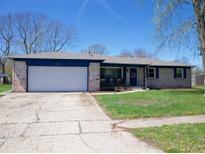 Recent updates included furnace and water heater.Don't miss out on this great opportunity! MLS#21549371. F.C. Tucker Company. 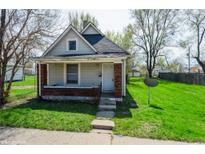 Campus Terrace - Home is freshly painted inside and outside, New Water Heater, Newer Furnace, Updated Electrical Panel, Newer Carpet, good usable space in the basement, updated bathroom, 1-car detached garage, great value for the price. NEW A/C UNIT JUST INSTALLED. MLS#21550514. CENTURY 21 Scheetz. Iron Springs - Finished basement/possible in-law suite. So much more! MLS#21548647. 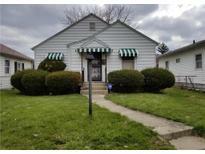 Keller Williams Indy Metro W.
could be a good rental or rehab and flip MLS#21546601. Sullivan Realty Group, LLC. The carriage house is poised to be a gracious guest house or perfect home office. MLS#21543019. Everhart Studio, Ltd..
Any inspections will be for buyer info only. MLS#21541858. Sullivan Realty Group, LLC. Woodcroft - Hardwoods, brick fireplace & blower, Ceramic tiled Formal Dining Room, & Kitchen custom designed by "JD", stainless steel Appliances, Seperate Freezer, Gourmet Chef 5 burner range, Wine rack, Custom cabinetry, Ceramic tiled 2Nd Level BATHROOM ENSUITE, Garden Jacuzzi tub, Separate shower, Separate Rear Office & Receptionist area can be in-law quarters, teenager suite, or, Master MAIN LEVEL BEDROOM Suite w/ sitting room, full bath,, PRIVATE ENTRANCE can also be LEASED OFFICE SPACE; main level laundry room, Mud room, 2.5 GARAGE WORKSHOP AREA, Patio, Newer siding, roof, New water heater 2019, Furnace, HSA HOME WARRANTY FOR PEACE OF MIND! MLS#21541489. Carpenter, REALTORS®. Park Place - Home features circular floor plan, hardwood floors, vinyl windows, C/A, Living room, Dining room, 3Bathrooms, 4 Bedrooms, 2 Kitchens, 2 Car Garage, private driveway, fenced rear yard, wood crown molding & trim, finished attic, and much more! Located near downtown & highway. 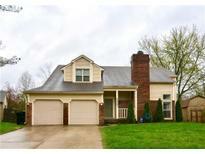 MLS#21540972. Owens Realty. Admirals Sound - The inside of the home offers a walkout basement, a private bonus room separate access (perfect for office or in-law suite) and a 3rd floor attic with endless storage space. Indoor basketball court. MLS#21539542. CENTURY 21 Scheetz. Reserve At Springmill - With a location that can't be beat, a history of meticulous upkeep & top quality finishes- this home won't be available for long! MLS#21530293. F.C. Tucker Company. Hamptons At Geist - New Hardy board siding, with 50 year transferrable warranty. 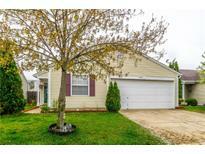 MLS#21529863. Neighborhood Home Realty. 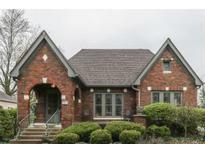 Located in the desirable Old Northside historic district. MLS#21528457. Luxcity Realty. Would be ideal for the car enthusiast, someone wanting to have a great workshop, or horses, etc. MLS#21528141. 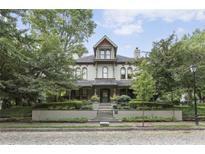 Keller Williams Indy Metro S.
Bradshaw And Butlers - Did I mention the 5-car garage with a renovated 2+bedroom apartment? MLS#21525025. Everhart Studio, Ltd..